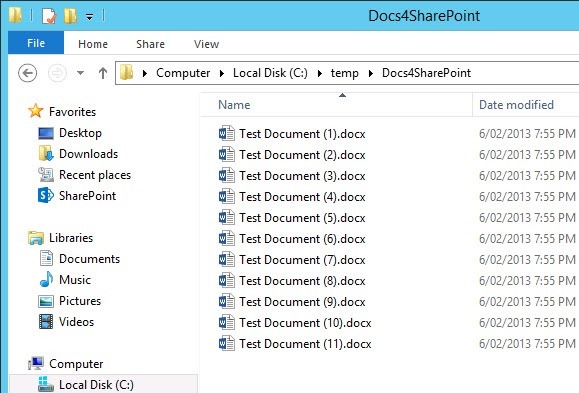 Posted on May 27, 2013, in Office 365, PowerShell, SharePoint and tagged import, Save, SharePoint-PowerShell-Create-Test-Data, upload. Bookmark the permalink. 28 Comments. Very helpful Cameron, I have to regularly uploads recorded training sessions as collateral for our end user support. This is a great way to expedite the process, so again, many thanks! Thanks for your comments Gareth. Thanks so much. It helps me a lot. 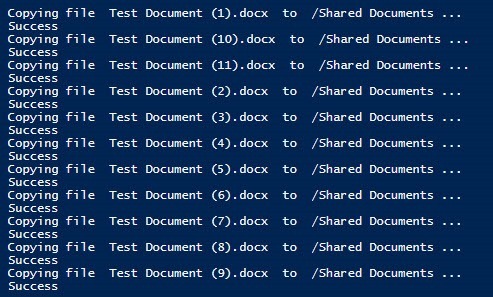 Can I use the powershell script create folder? If I want to upload many folder and files. The PowerShell cmdlets for SharePoint Online is very limited compared to the full SharePoint 2013 (or 2010) PowerShell cmdlets. 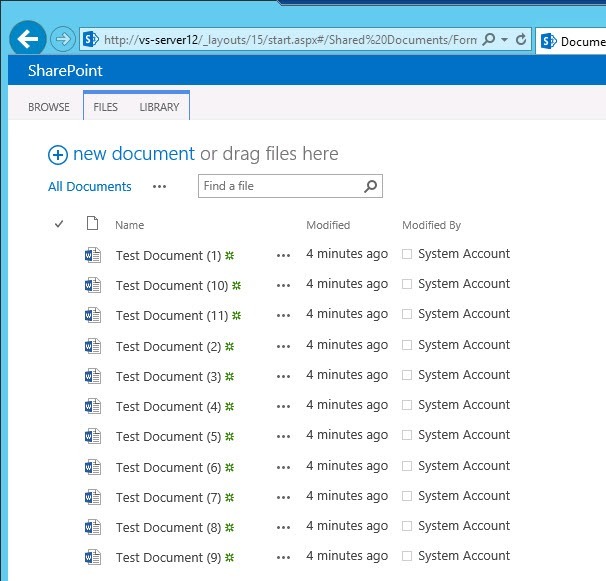 It’s mainly limited to SHarePoint Administration tasks and not SharePoint content. Do you also have code examples for setting document properties during the copy process? Your version of SharePoint will also make a difference when you get into some of the column types, for example Managed Metadata columns are easier to set with SharePoint 2013 than it is in 2010. Also working in a similar way is DavCopy. For those looking at robocopy it might also be worth a look. Thanks Cameron! This helped me a great deal! nice script. Works pretty well for me. I tried to re-write to allow me uploading files from a folder given the filenames and Metadata from a CSV file. But my attempts failed. Do you have a solution here as well? I’m focused on Metadata edited within Excel and then uploaded to a SharePoint library. Is it possible to write powershell program that automatically downloads the daily file based on date to the loca machine ? And this MSDN article provides lots of info on how to get the current date/time and format it in different ways in Powershell. Combine the two and you should be able to accomplish your goal. Hi Cameron, I’m trying to export a pdf from Tableau Server and import it directly to One Drive, i don’t want to store anything on local, any suggestion. Thanks Nish. Is there a way to run this script from Windows 10 PC? It used to work but now all of a sudden it stopped working. It only deletes the folders but does not copy anything.